I finally finished eating all of the vegetables from my harvest (which included about 15 heads of kale!). I am definitely going to miss the days of walking around back to cut my lettuce for lunch. My last hope for harvest are my tomatillo plants that I brought inside. They have a TON of little tomatillos on them, but I am not sure if they are going to grow inside… Fingers crossed! The cool air is finally sweeping across Colorado. Friends in the mountains said it was even snowing at the tops of the mountains! It is kind of a relief after the hot summer we had. Even with the cool weather, my garden is still overflowing with zucchinis. 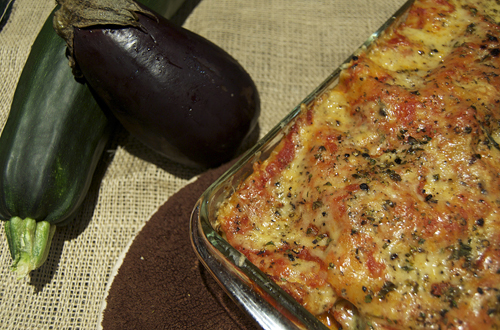 Other gardens are overflowing with eggplants, so of course I am continuing to add to my long list of zucchini recipes; and some eggplant ones as well.